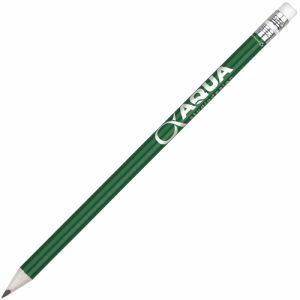 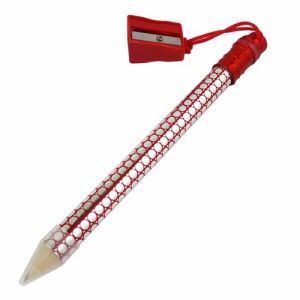 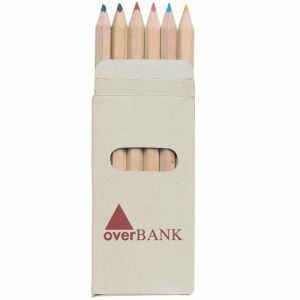 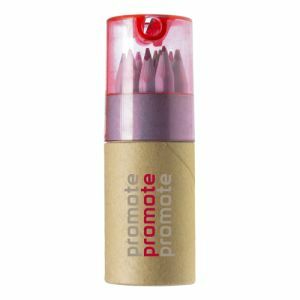 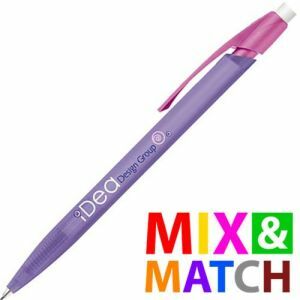 Promotional pencils are one of the most cost-effective merchandise items. 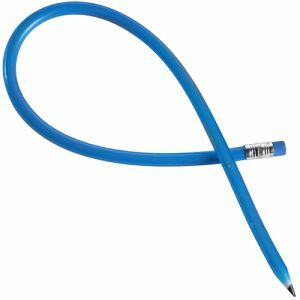 Starting at less than 10p each, custom pencils are long lasting and environmentally friendly. 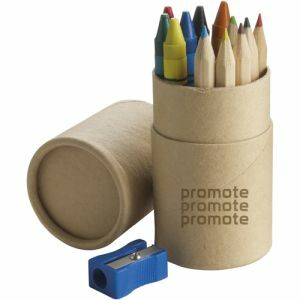 They can be easily sent via post as part of direct mail campaigns, added to goody bags, displayed in a pot or placed on a notepad in a conference room. 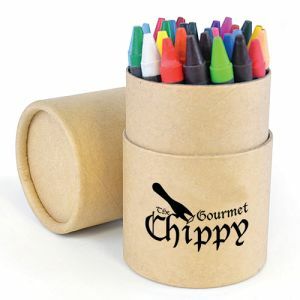 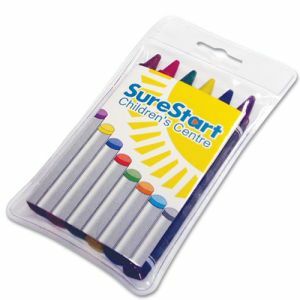 Also great for schools, nurseries, children’s events or parties, promo pencils really do tick all the boxes. Did you know, according to Scientific American, in 1965 NASA ordered 34 mechanical pencils for their astronauts from Houston's Tycam Engineering Manufacturing, Inc. They paid $128.89 per pencil. Thankfully, our printed pencils are much more affordable! If you are looking for cheap personalised pencils for a budget-conscious promotion, our Spectrum pencils are hard to beat. 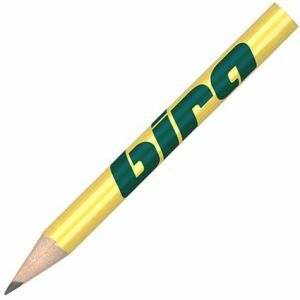 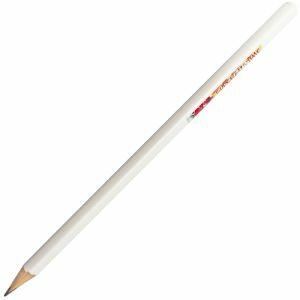 This promotional custom pencil, complete with eraser, comes in a range of solid colours with one colour print of your logo, contact details or strapline. 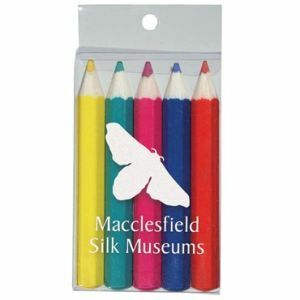 No wonder it’s one of our best sellers. No golf club or golf day would be complete without a handy golf pencil; in a compact half size, a promotional golf pencil with club or event branding says you take a professional approach to both business and leisure. 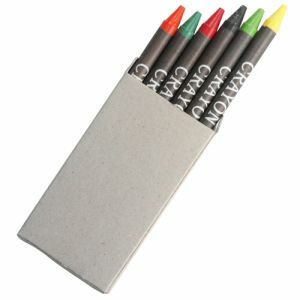 Available with or without an eraser, these great little promotional pencils can be completely personalised to you. We also have black or white personalised mechanical golf pencils in a useful pocket size, making them perfect for all sporting events where scores need to be noted – perfect for sports days but also great for corporate race days, track days or regattas. Align your brand with a prestigious brand name through our Parker Jotter mechanical pencils. 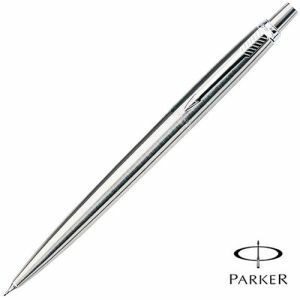 With the sleek good looks you’d expect from a Parker pen, but with a no-fuss mechanical pencil mechanism, these stylish pencils can be engraved with your company credentials and are supplied in a presentation box. 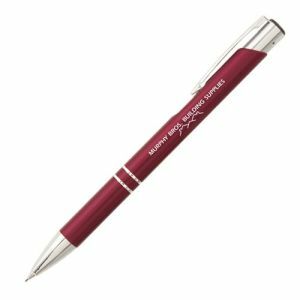 A super corporate gift or high-level giveaway that speaks volumes about your business with its five different branding areas. 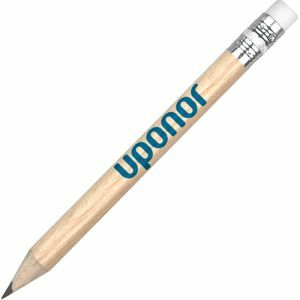 Traditional pencils are made from wood, and all our UK wooden pencils are sustainably sourced. 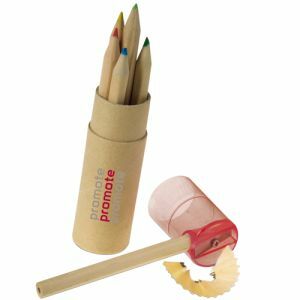 But if you’re looking for something that’s particularly environmentally friendly for your business or campaign, search our eco-friendly pencils using the filter on the left. 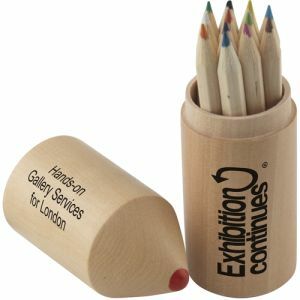 Our FSC wooden pencil with eraser is FSC certified, our recycled pencils are made from UK recycled CD cases or plastic cups and our recycled paper pencils are just that (recycled paper). 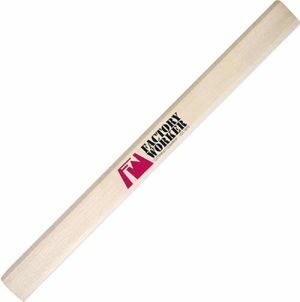 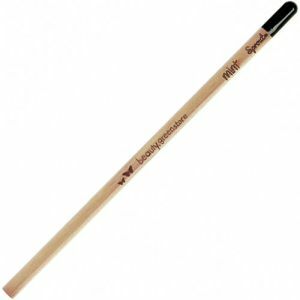 If tradesmen are your target market, then our FSC certified wood promotional carpenter pencils or flat sided pencils boast a large branding area and a flat surface which is particularly suited to carpenters. 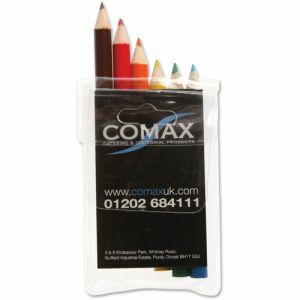 We even have packs of sustainable colouring pencils in recycled card boxes for a splash of colour. 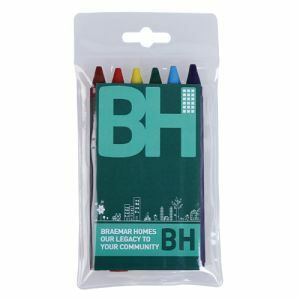 Suitable for schools, nurseries, restaurants, play areas and waiting rooms, these little colouring packs can be printed in up to four colour with your company logo. 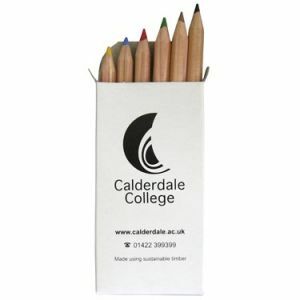 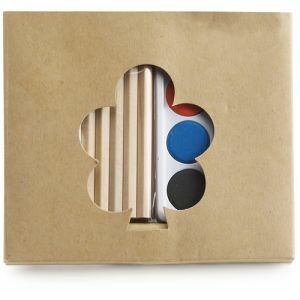 Staying with a younger audience, you might consider promotional crayon packs, colouring pencils in tubes, animal topper pencils and, one of our favourite products - our colouring pencils topper set featuring 12 half size pencils presented in a wooden pencil shape tube, branded on either the base or lid. 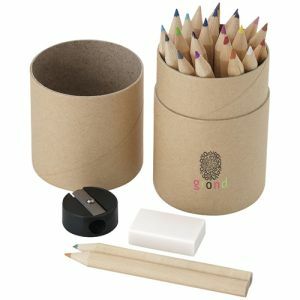 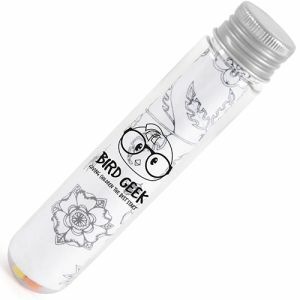 This is such a sturdy, compact and unusual little set – and the tube has a life even after the pencils have gone. 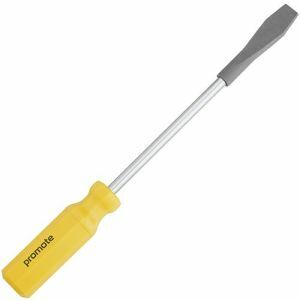 Our fantastic promo pencils range also includes some novel items; check out our promotional screwdriver pencil kit in a great range of colours combining a pencil, sharpener and eraser in a novelty screwdriver shape – a perfect promotional item for all the tradesmen and handymen and keeping your company name in their sights. 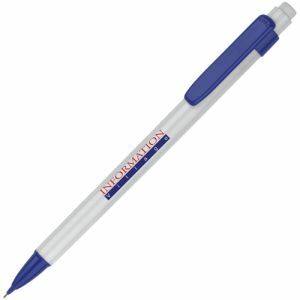 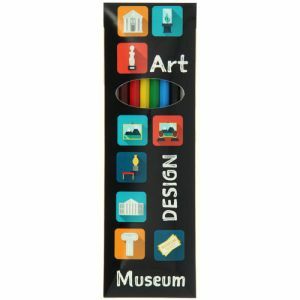 Pencil in getting in touch with the team at Total Merchandise for all your printed promotional pencils!